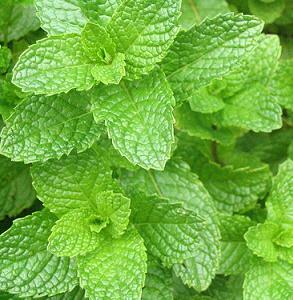 Spearmint has properties similar to peppermint (it is a stimulant and antispasmodic) but it is more gentle. It contains less menthol and more carvone (also found in dill and caraway). Spearmint is soothing to the stomach, is a mild diuretic and diaphoretic and its gentle properties make it excellent for children and infants. Spearmint helps stimulate digestive enzymes and may be more useful than peppermint after eating because it is more gentle on the stomach and less stimulating. Spearmint it perfect for a summer time iced tea or as a soothing digestive tea. As a ice tea spearmint pairs well with lemon balm, tulsi and oats. To sooth digestion try spearmint on its own or with carminatives like fennel or giner or tummy soothers like marshmallow. Spearmint can also be dried or made into a tincture with either fresh or dry leaves.